Eat a Burrito! Support The Pixie Project! Do you love food? Do you love the Pixie Project? 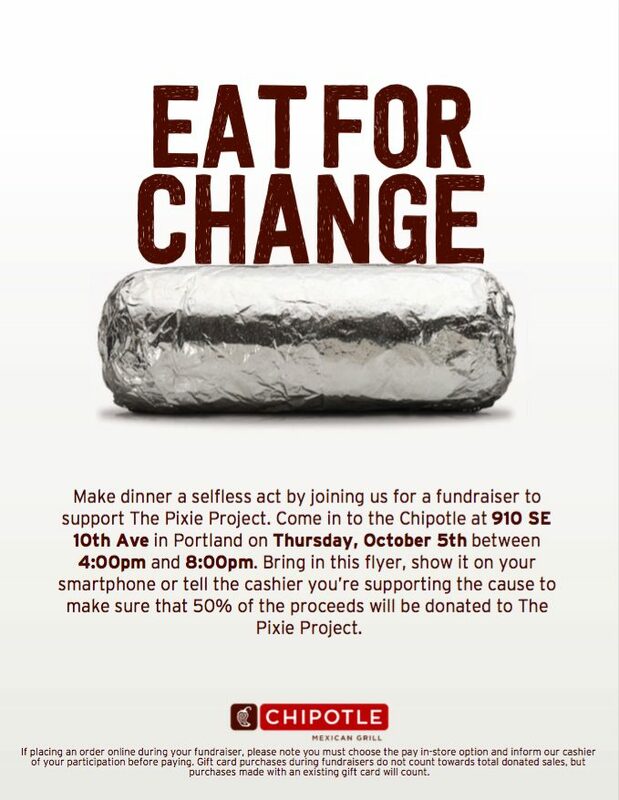 When you visit the Southeast Portland Chipotle from 4 to 8 pm on October 5th, half the proceeds will come to the amazing cats and dogs at Pixie! To support us, just show the cashier the flyer (in hand or on a mobile device) or, simply tell them you’re supporting the fundraiser when paying at checkout. Easy Peasy!